Looks like I’ve caught the sugar cookie fever! I tried decorating sugar cookies with royal frosting for the 1st time the other week and enjoyed it so much I made another batch this weekend! Put on some Christmas music and give it a try! You can find the recipe and instructions here. Happy Holidays! 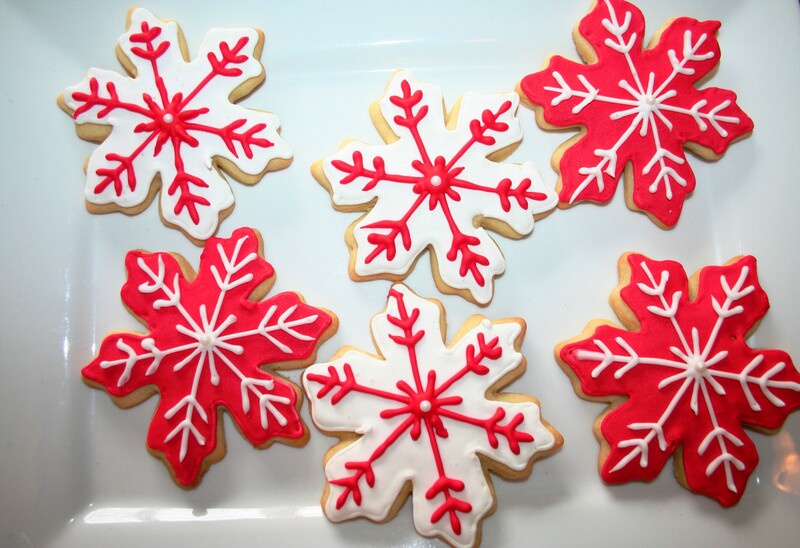 This entry was posted in Christmas, Give in to Your Sweet Cravings and tagged Christmas Cookies, Decorated Cookies, Food, recipes, Sugar Cookies by Pasta Princess. Bookmark the permalink. They look amazing – I can’t believe how pretty they are! Thank you so much! 🙂 I thought I should have some of my cookies in Christmas colors. These look pretty to eat!!! You did a great job decorating them. I’m sure they’re very delicious! I’d like to use your photo to enhance one of my posts, with a suggestion to head on over to your site to check out the recipe. They look like fantastic cookies. Please let me know if I have your permission to do so. Hi – Yes you may use my photo thanks for asking – I am happy to share! I will check out your blog – thanks for stopping by. Merry Christmas!